1. Who wants to sift through ten million tweets? 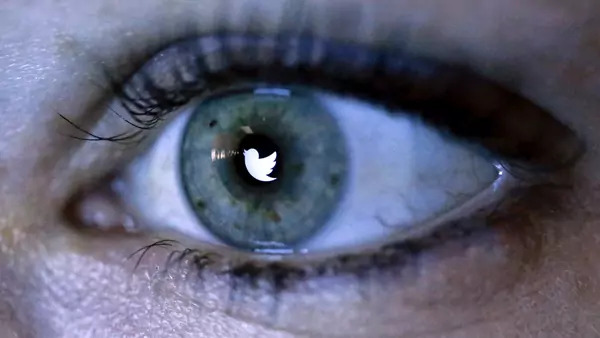 In an effort to improve transparency and further research on information campaigns, Twitter published datasets containing over ten million tweets made by accounts affiliated with Russian and Iranian troll farms. According to an analysis conducted by Ben Nimmo of the Atlantic Council’s Digital Forensic Research Lab, the disinformation campaigns were initially created with the intention of advancing government interests at home. From 2012 to 2016, tweets in Russian from the Internet Research Agency outnumbered those in English, especially as the tensions between Russia and Ukraine escalated. As the 2016 election approached, English messages became dominant as the Russian accounts capitalized on U.S. politics to divide "polarized online communities, unifying support for Russia’s international interests, and breaking down trust in U.S. institutions.” For their part, Iranian-backed accounts frequently linked to websites that promoted government narratives, presumably aimed at non-Iranians as Twitter is banned in the country. The release of the Twitter dataset comes the same week that the Department of Justice charged a Russian national for coordinating an online influence campaign against the United States backed by Russian oligarch Yevgeniy Prigozhin. 2. Small chips, big cockup. Two weeks after Bloomberg reported that China used infected hardware to spy on major U.S. companies, Apple CEO Tim Cook called on the news agency to issue a retraction. To recount the saga: On October 4, Bloomberg published a blockbuster story alleging that a Chinese military unit installed malicious chips in server motherboards bound for companies like Apple and Amazon. Since then, a number of prominent cybersecurity experts have questioned the story's veracity, as have the Department of Homeland Security, the UK National Cyber Security Center, and former U.S. cybersecurity coordinator Rob Joyce, and the U.S. Director of National Intelligence. This week, Apple CEO Tim Cook added his voice to the chorus, saying "I feel they should retract their story. There is no truth in their story about Apple. They need to do that right thing." 3. J'accuse! San Jose startup CNEX Labs has accused Huawei of engaging in a multiyear effort to steal its technology. In a lawsuit filed in federal court, the startup alleges that Huawei posed as an interested customer to gain proprietary information about its solid-state drive storage technology. For its part, Huawei, which requested that CNEX submit detailed documents about its technology as part of the discovery process, claims in a separate lawsuit that CNEX co-founder and former Huawei employee Yiren Huang stole trade secrets and poached Huawei employees. Regardless of who prevails in court, CNEX’s argument that Huawei engaged in corporate espionage and intellectual property theft resonates with deepening suspicions of the company and its role in China’s state-backed drive to move up the global technology value chain. 4. U.S. companies don't like data localization. India’s proposed data localization laws are facing more backlash, this time from two U.S. senators and financial institutions. In a letter, Senators John Cornyn and Mark Warner urged Indian Prime Minister Narendra Modi to relax two data localization measures—a Reserve Bank of India (RBI) regulation that requires domestic payment transaction data to remain in the country, and a draft law that would require all of Indians' data to stay in the country. The RBI regulation entered into force this week, and U.S. payment processors such as Visa, Mastercard, and Amazon have yet to comply. An analysis by the Brussels-based organization Allied for Startups argues that Delhi's data localization initiatives could cost the Indian economy nearly $8.4 million annually. 5. Internet slowdown. Growth of global internet access has declined sharply, falling from 19 percent in 2007 to less than 6 percent in 2017, according to a forthcoming report by the Web Foundation. The decline has several implications for the feasibility of the UN’s sustainable development goal of universal affordable internet access by 2020, as well as the opportunities available to marginalized populations. No specific reason was given for the decline, though a number of challenges hinder widespread internet access. Telecom providers are reluctant to deploy infrastructure in rural areas where they are uncertain to make a return on their investment. And even if the financial and access barriers can be overcome, the absence of relevant online content in local languages can hinder internet use in developing countries.